The Times Higher Education released the International Student Table 2018 which is a global list of 200 universities with the most international students. This list includes five Russian universities. TPU takes third place, conceding only the Peoples’ Friendship University (RUDN University) and the National Research Technological University MISiS. Compared to 2017, TPU has significantly advanced making 28 positions up from 194 to 166. The American University of Sharjah with 83.8 per cent of international students is on the top of the THE list for two years in a row. LSE with 70.5 per cent is the second, The Royal College of Surgeons in Ireland takes third place, hosting 63.5 per cent of international students. The top 10 of the rating is made up by four universities from Great Britain, two universities from UAE, one school from Ireland, Luxembourg, Netherlands, and Switzerland. 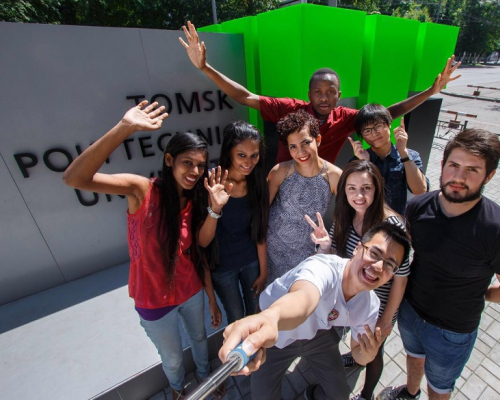 It is noteworthy that Tomsk Polytechnic University is strongly aimed at internationalization of its student and faculty body, over 3,600 international students from 40 countries study at TPU. According to the rating data, the proportion of international students at TPU is 23.8%. In 2017, TPU became a participant of the priority project of the RF Ministry of Education and Science Education Export. The list of the project’s road map includes 39 universities which are engaged in the appeal and competitiveness enhancement of the Russian education on the international market of educational services. TPU is also a participant of the 5-100 Project, a key output of which should be emerging modern leader universities with efficient management and global academic reputation, capable of setting trends in development of world’s higher education in Russia by 2020.